During the early years of Japanese rule in Taiwan, casualties among Japanese troops and colonialists were numerous. On the one hand, Taiwanese partisans fought bitterly against the Japanese, causing fatalities among the soldiers. On the other hand, the Japanese experienced difficulties in adjusting to the Taiwanese climate, so that illnesses were widespread. As a consequence, the colonial government established facilities where soldiers and civilians could be treated. 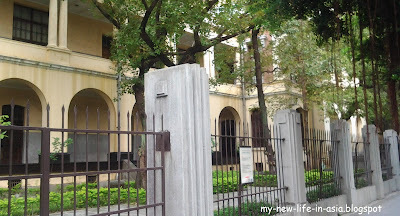 Front side of the Original National Taiwan University College of Medicine, in Ren'ai Road. 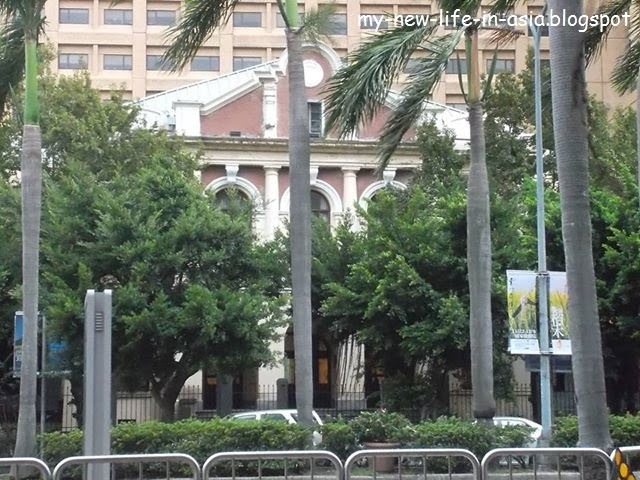 Unfortunately, many buildings in Taipei are covered by trees, which makes it impossible to take decent photographs. 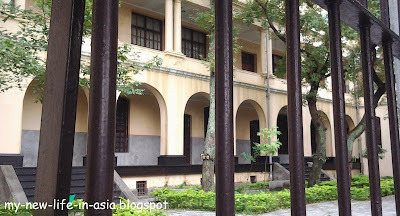 Already in 1895 the Japanese founded the Dainihon Taiwan Hospital, which is today's National Taiwan University Hospital. Because there weren't enough Japanese doctors available, in 1897 an Academy of Medicine was founded, where Taiwanese doctors could be trained. 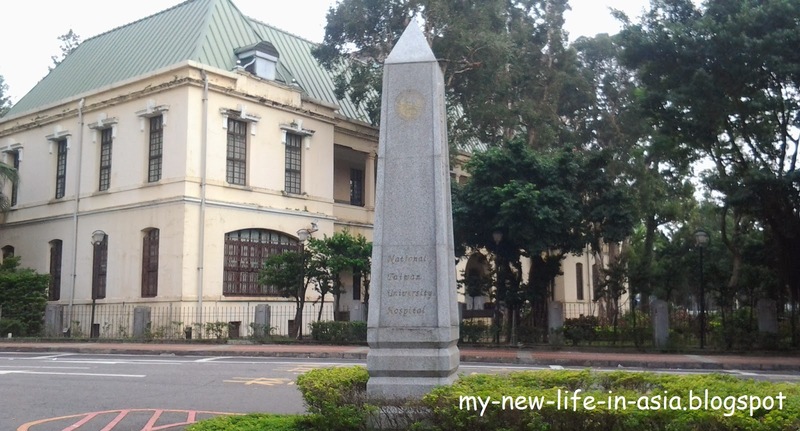 In 1919 the institute was upgraded to a College of Medicine, and in 1936 it became the Taihoku Imperial University Department of Medicine (Taihoku was the Japanese name for Taipei). After World War II and the retrocession of Taiwan to the Republic of China, the department was renamed National Taiwan University College of Medicine. 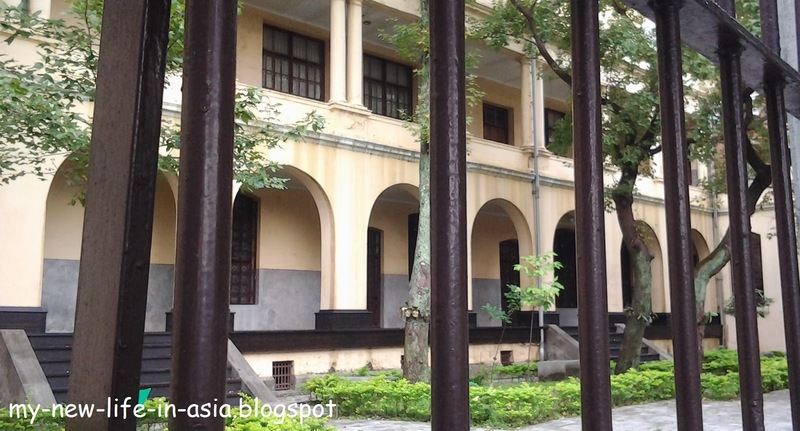 The Original Taiwan University College of Medicine (臺大醫學院舊館) was constructed between 1907 and 1914. It is a simple, Western-style building which features a Mansard roof, an arched corridor and Greek-style colonnades on the second floor. 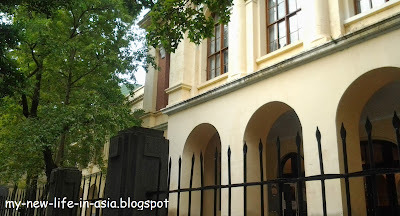 The building is located in Ren'ai Road Section 1, next to the Chang Yungfa Foundation, and close to the East Gate.